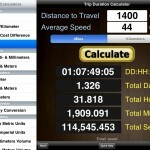 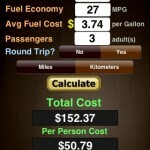 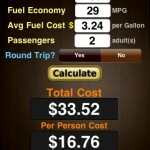 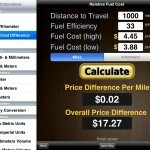 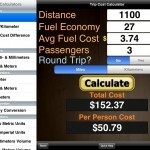 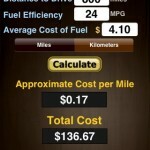 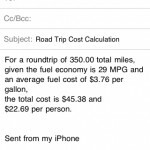 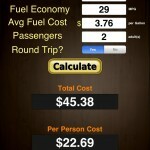 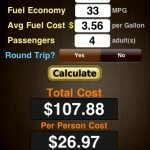 The Roadtrip Cost app is a set of lightweight calculators which lets you estimate the cost of your next road trip and email the results to your traveling buddies. 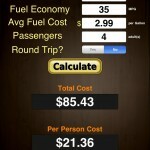 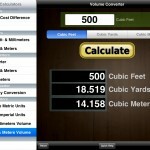 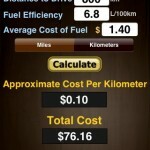 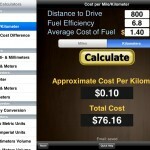 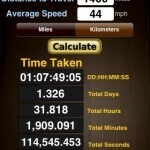 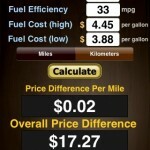 The app also estimates those pesky fractions of a penny, so you don’t end up short, and everyone pays equal. 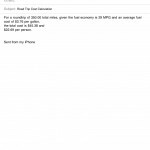 A network connection is not required for results.